Visitor parkings can be reached from entrance "Mönkhofer Weg". Go straight: traffic light, pedestrian tunnel (follow the the majority). 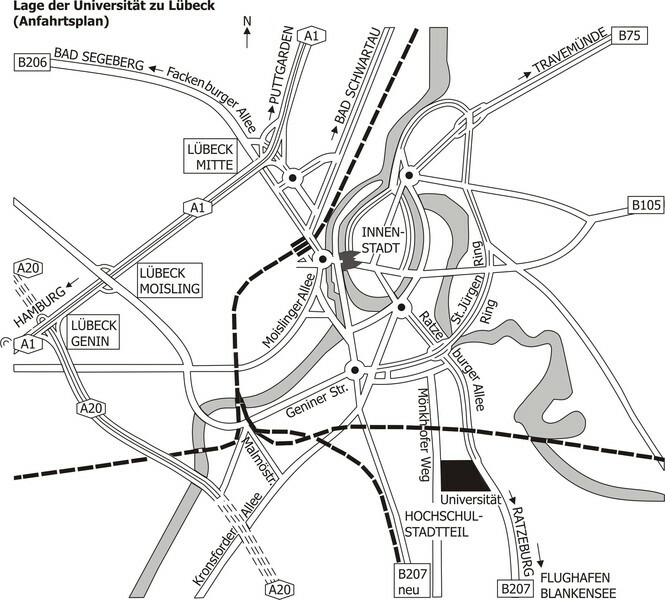 You reach the central bus station Lübeck ZOB. Take bus No. 9 or No. 1 on Track 5, exit at station “Fachhochschule”. Cross the street to go left. Right in front of the gate barrier, go right on Marie-Curie-Straße and follow the street. 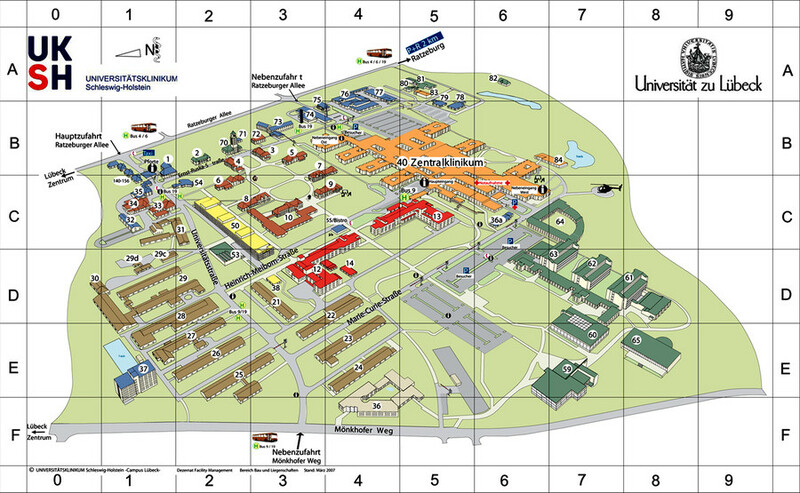 Building 64 is the last one on the right-hand side.